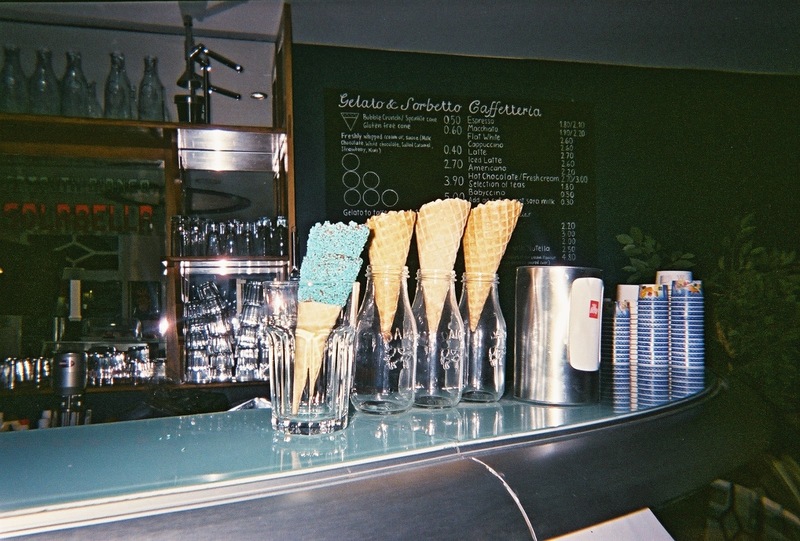 I want to tell you about an amazing place with the most delicious ice-cream ever. 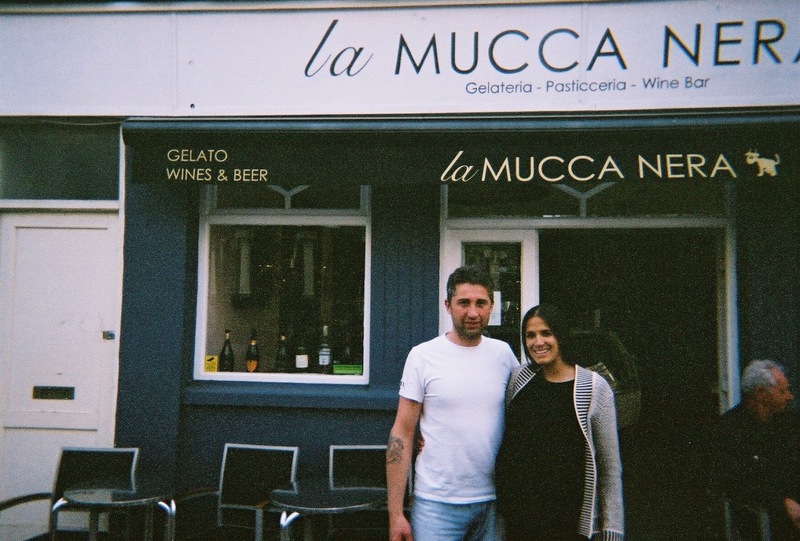 It is called La Mucca Nera and is located on St. James's street (in Brighton obv). They have ice-cream, cocktails and the best desserts. I had a tiramisu and it was so good. I wish I could have it for breakfast, lunch and dinner every day. Please have a look at their five star reviews on tripadvisor and you'll see what I am talking about! This gelateria is a family business run by the cutest couple - Michelle and Fabrizio. Michelle is pregnant in the picture but they have had their baby since then. Seriously, they are the cutest couple. I have asked Michelle few questions so please read below the story of how they met and how they come up with an idea to open this awesome place! Fabrizio's from the very North of Italian, he was a ski instructor/coach and a top ski racer. 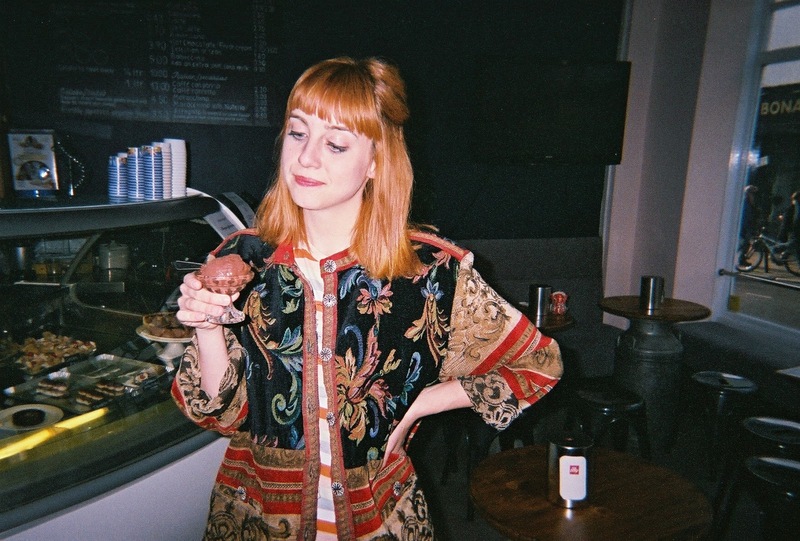 I'm a true Brightonian who loves all things Italian! I happened to be out there for work (I manage the overseas operations for a travel company) and so we met swishing down the pistes (and then drinking an Aperol Spritz or 2!) I had a 6 month contract but ended up staying for 4 and a half years! Just under 2 years ago with our first child due, we decided to move back to Brighton. Why did you decided to open a gelateria? What are the most delicious things on your menu? Obviously the gelato is the winner! The pistachio and hazelnut are really fantastic and the Cassata (tutti frutti) is also delicious. The creamy tiramisu portions are one of our best sellers, as soon as they are made they sell out that same day, as do the Cannoli Siciliani (crunchy pastry tubes with a creamy ricotta filling; a classic from Sicily. We've just introduced 'Paffutella' which are a brioche type bun from Sicily, similar to panettone. We fill them with pistachio, chocolate or almond cream which is delicious for breakfast and also with gelato! What is so special about your ice-cream? Our Gelato is like none other that you'll find in Brighton. Fabrizio works closely with our gelato chef who has over 40 years experience and has won numerous gelato awards all over Italy and in Paris. There is a real passion to create a quality product and we use only the freshest fruit, the best quality nuts and the highest quality chocolate to create flavours which are just bursting with....well flavour. We never use anything fake, no preservatives, colourants, additives etc so our product is as natural as possible and actually not that bad for you. 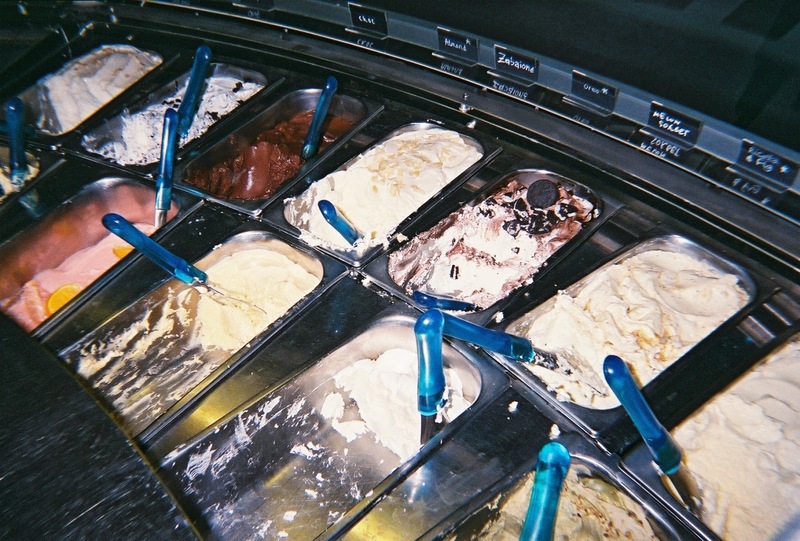 Gelato is churned at a much slower rate than ice-cream, incorporating less air and leaving the gelato denser. It is also served at a slightly warmer temperature, so its texture stays silkier and softer. What is your favourite thing about Brighton? Although I've travelled a lot and lived abroad, I couldn't imagine being anywhere else to bring up my family. From the music festivals to the sporting events, finding another hidden coffee shop in the lanes, or having a stroll along the beach, the general craziness and individuality.... Brighton will always be home.